I’m putting together an advanced VBA course and I am looking for feedback, as I plan to make this a top-notch training. As some of you may know I have been working on developing Version 3 of my FastExcel product for more years than I care to remember. First there was the VB6 blind alley, then 64-bit and multi-threaded calculation and that ribbon thing, then I detoured into learning C++ and XLLs, then there was the inevitable scope creep, (and my consulting customers kept asking me to do things, and then there was the sailing) … you get the picture. Anyway I finally pushed the release button on June 4 2014. Yippee!!! The initial reaction has been great (no doubt helped by the introductory offer of 50% off). So what is FastExcel V3? 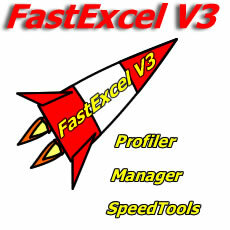 There are 3 major products in the FastExcel V3 family, targeted at different types of use scenarios. FastExcel Manager contains tools to help you build, debug and maintain Excel workbooks. 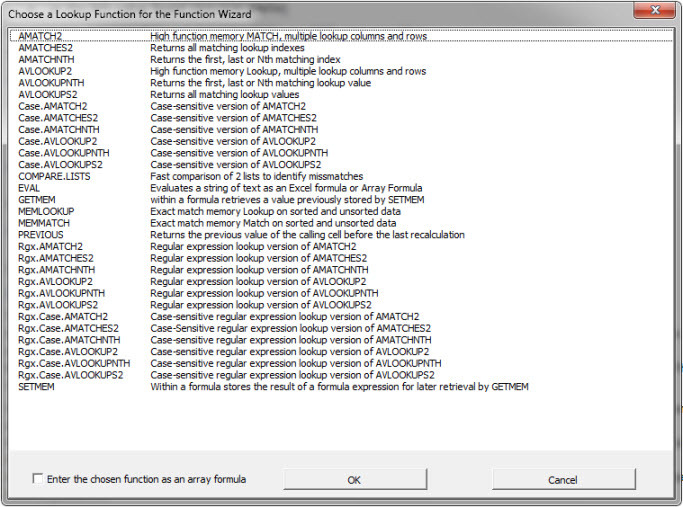 Formula Viewer/Editer – a better way of editing and debugging more complex formulas. Sheet Manager – Easily manage and manipulate worksheets. Additional calculations modes to enhance control of calculation so that you only calculate what needs to be calculated. If you write a lot of VBA code you probably sometimes run into performance issues. A customer rings you and complains that the Excel file you built for them does not perform well. I’ve written a small article on my site, inspired by a post here: Error Handling via an Error Class. I needed a quick way to log and report performance of subroutines and I also wanted to see how many times a routine was called. If you haven’t already done so, why don’t you head over to my website and download the tool. The demo is free and (almost!) fully functional. Notice that silly goto dialog (which you get when you double-click the off-sheet arrow with the tiny “table” icon next to it)? Prize question: which worksheets and ranges are the entries in the Goto listbox pointing to? Note how off-sheet precedents are represented by a picture of (part of) the range in question. A nice way to enable you to see what the precedent values are. The boxes contain a hyperlink to that range so a simple click takes you there for further inspection. On hover with your mouse you’ll get the precedent’s source address in a tooltip. If you like this idea, why not head over to my site and download the demo version so you can try it and shoot some comments at me? There is one snag: the new feature only works for Excel 2007 and up.